Use Virto Commerce advanced marketing and SEO features to promote your store online and encourage customers to shop more. 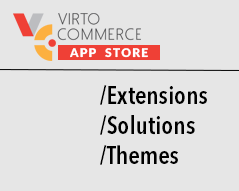 Virto Commerce follows Search Engine Optimization best practices and allows customization of Meta Tags, Title and H1 tag. At the same time it provides requirements for product listing and info pages structure. Mechanism of creating SEO friendly URLs and sitemap.xml allows creation of unified naming structure and together with dynamic search implement SEO for low frequency requests. Collection of SEO features lets your ecommerce solution attract traffic from Google, Bing and Yahoo. Ecommerce marketing is one of the fastest growing aspects of ecommerce. Every day new marketing ideas and automation/analytics tools appear. It is hard to imaging the full ecommerce solution without integration with marketing automation software, social media marketing, SEO, A/B testing etc. Virto Commerce open architecture and extensibility modules allow quickly build necessary environment for effective internet marketing. Create custom promotions and coupons that customers can use to get discounts. You can define coupon codes and promotions like "Buy one get another 50% off", "Get free standard shipping when buying over $100", "Get a $10 gift card when buying a tv worth more than $200". Virto Commerce fully integrates with Google Analytics. Ecommerce transaction tracking automatically connects your Google Analytics web usage data with customer purchases and shopping cart transactions.